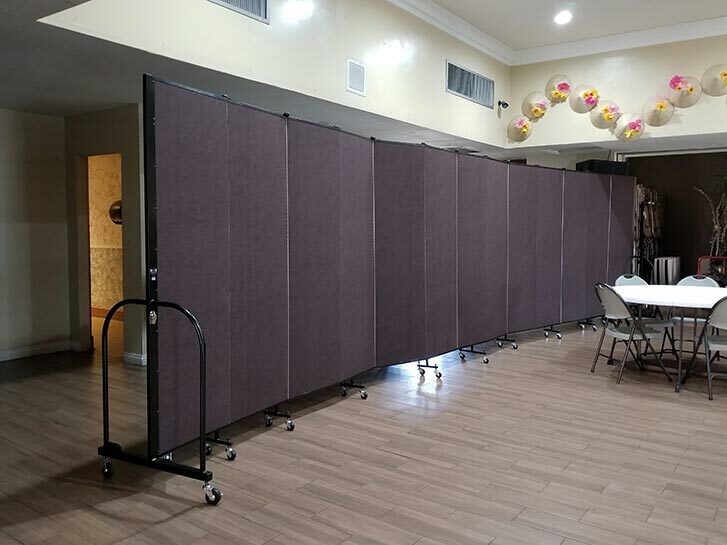 Wonderful things are happening at Thanh Le Church (TLC) and Screenflex is excited to be a part of their growth. 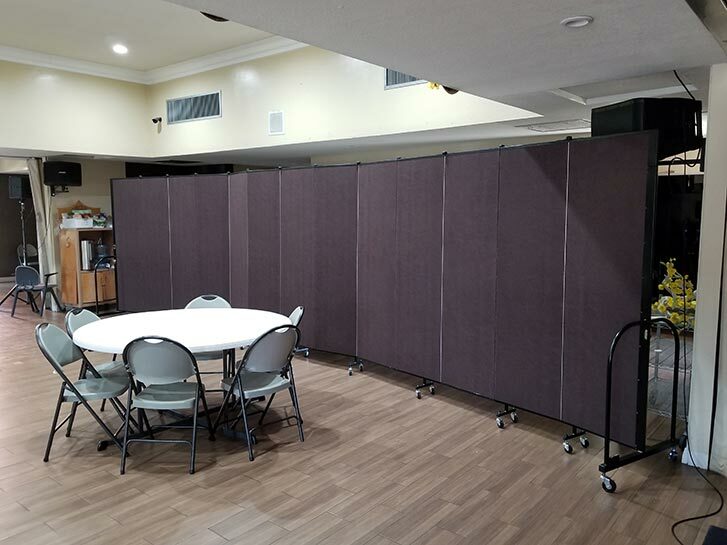 TLC uses dark brown fabric room dividers to separate their fellowship hall into rooms for their growing Sunday school classes. 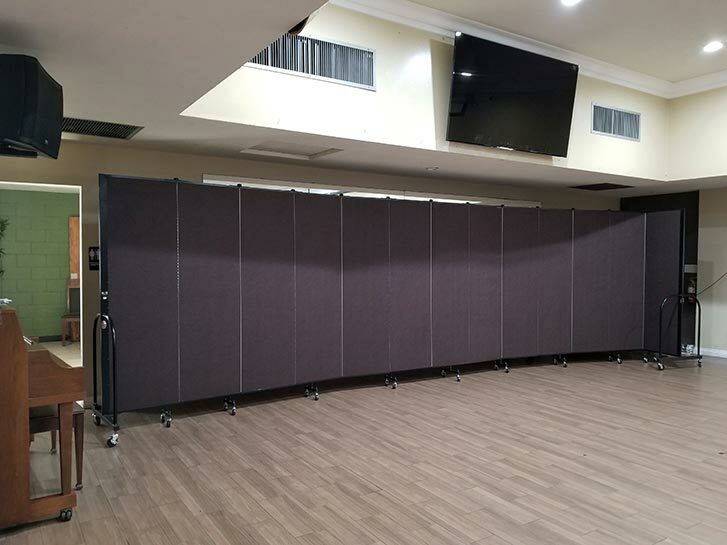 The fabric partitions absorb sound, divide space and display information. 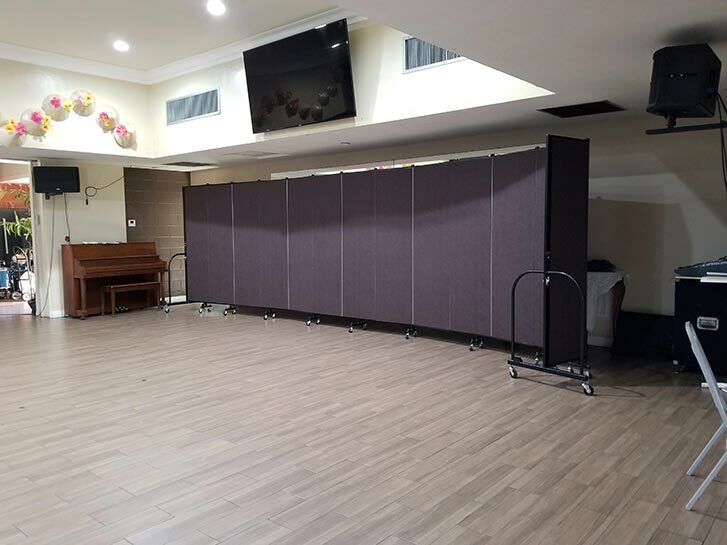 When Sunday school classes are finished, the dividers are positioned near the side of the room to reveal a large open space for weekly activities.